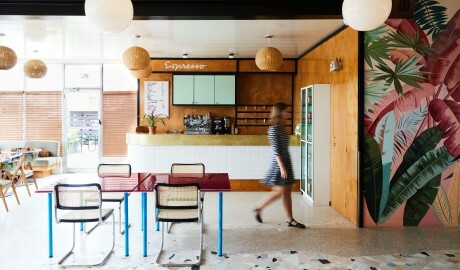 —Inspired by subcultural nonconformity, The Drifter updates midcentury individualism while celebrating local art, hip cuisine, and specialty coffee. Thanks to its retro “motel” sign out front, this unassuming low-rise seems at first glance like a forgotten 1950s anachronism. 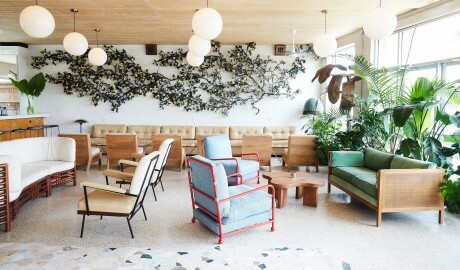 But look past the period-piece signage and The Drifter reveals itself as an exercise in modernized nostalgia, both in terms of design and concept. 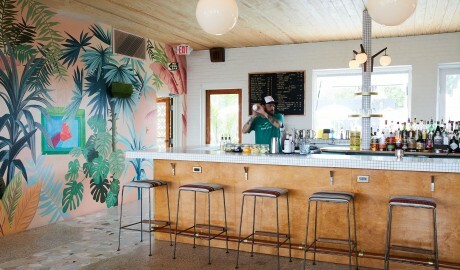 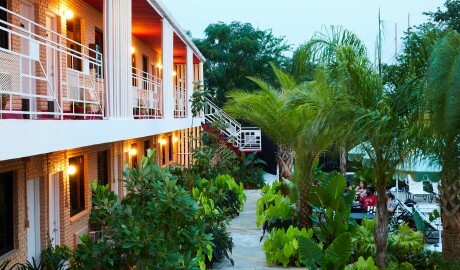 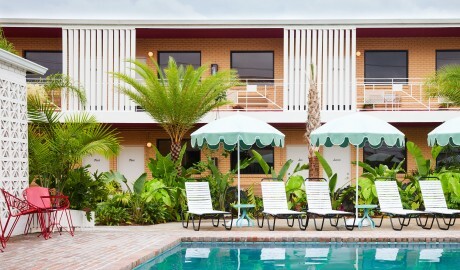 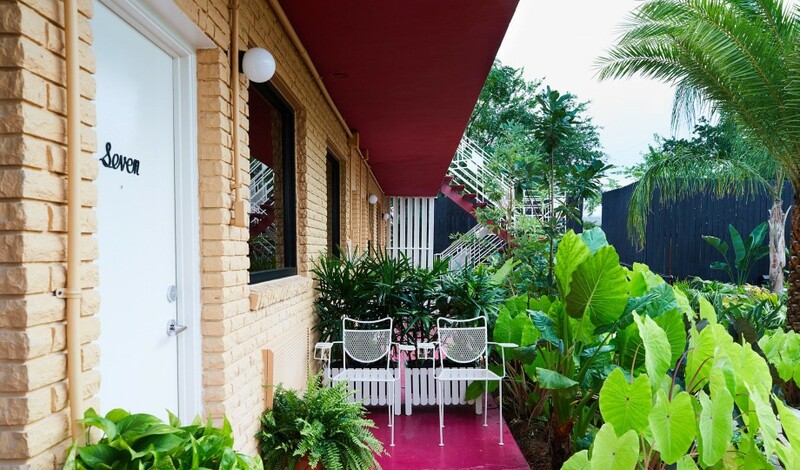 With a name inspired by the iconoclastic Beat Generation of postwar America, the property is a playful respite from New Orleans’ expected offerings, shining a light on a newly hip side of the city by acting as a melting pot for the local and global “drifters” who end up there. In addition to a café serving up specialty coffee from La Colombe and various baked goodies, the culinary program sees a rotation of chic food trucks and on-property pop ups that offer a host of ever-changing tastes, from Mexico City to Haiti, Colombia, and beyond. 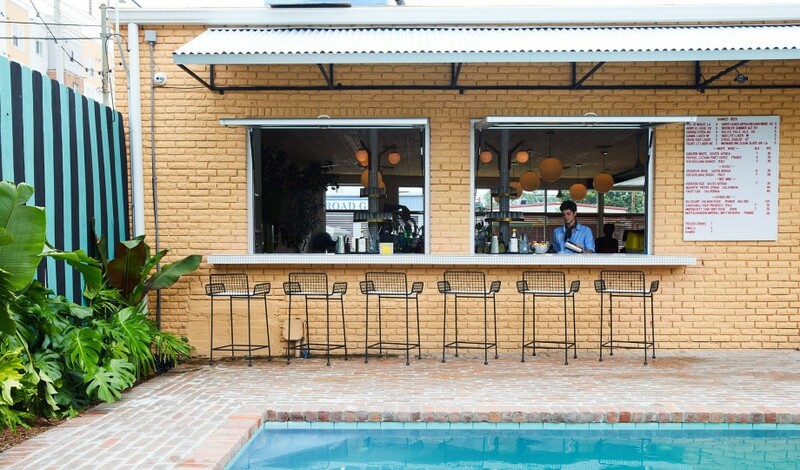 Add in the artwork of local creatives and a busy events calendar—best enjoyed with fresh frozen cocktails, Japanese beers and sakes, or the local wines on offer—and it’s clear why this Tulane Avenue property is making waves on the New Orleans scene. 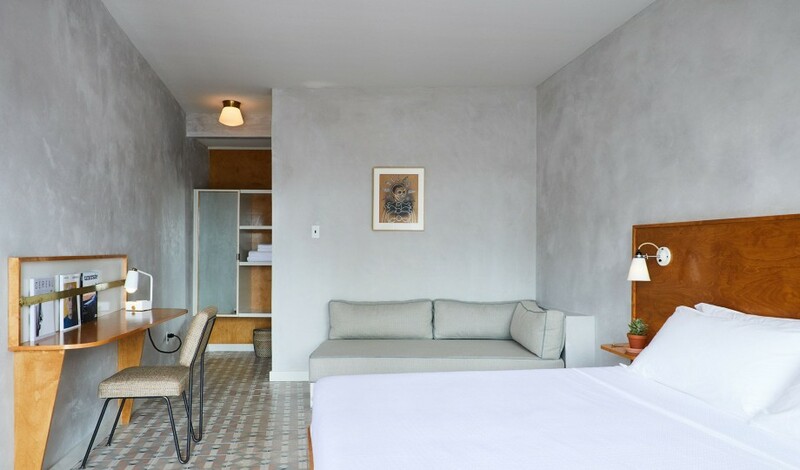 The 20 rooms and suites span approximately 226 square feet, and offer pool views, a bathroom with a shower, and a working desk. 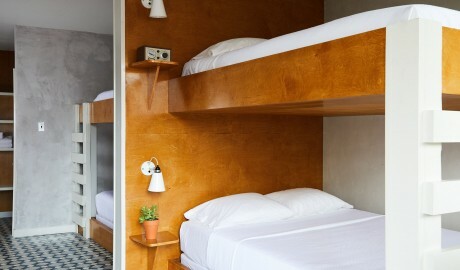 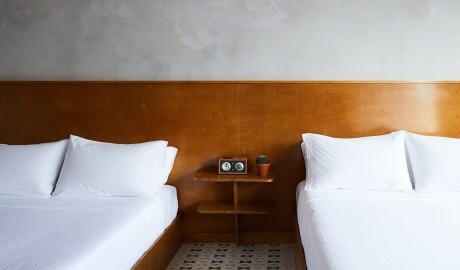 While the King Room features a king-size bed and a day bed, the Double Queen Room and the Bunk Room offer two and four queen-size beds, respectively. 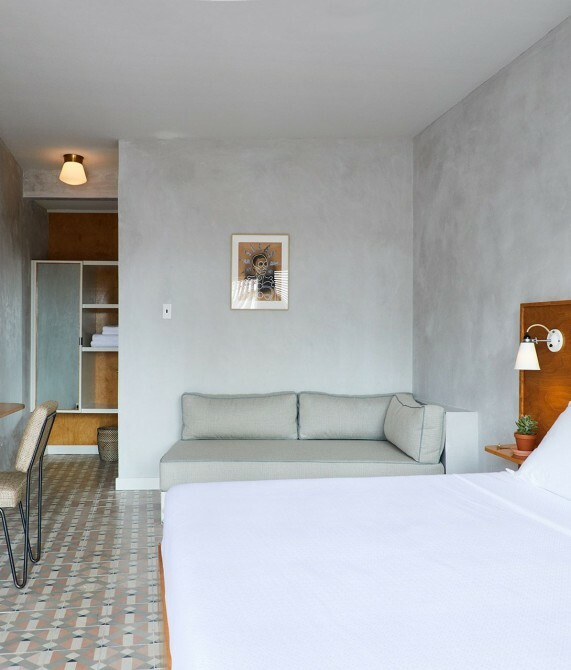 The Garden King Room and the Garden Double Queen Room also both play host to a private terrace, with the former boasting a king-size bed and a day bed and the latter featuring two queen-size beds. 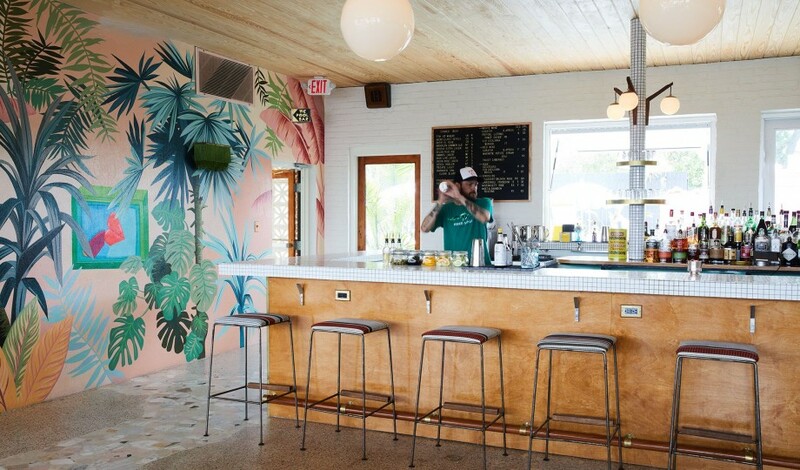 Retro yet refreshingly original, the interiors come alive with pastel colors and custom furnishings that contrast brick and concrete walls. 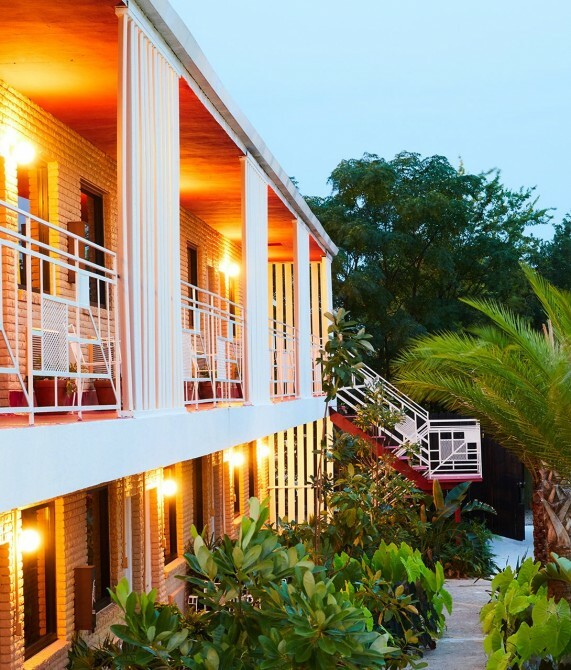 Borrowing from streamline modernism and Googie-style architecture, the hotel offers guests a glimpse into life in midcentury America. 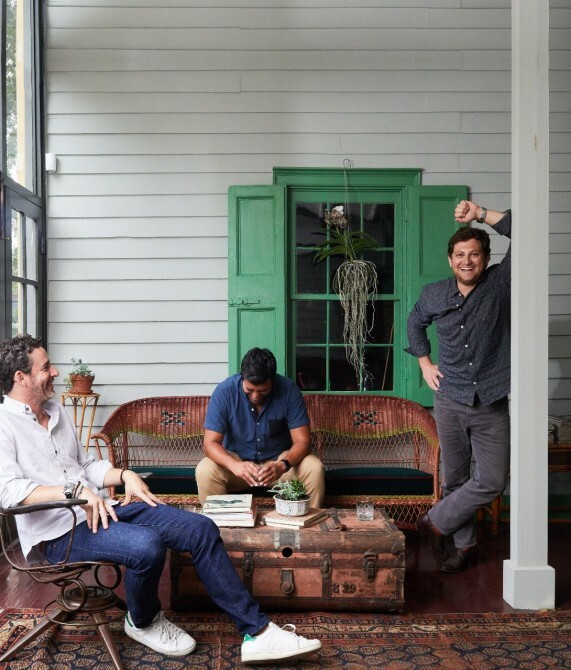 After Hurricane Katrina in 2005, Jayson Seidman, Zach Kupperman, and Alex Ramirez felt compelled to play their part in the regeneration of New Orleans—a city that has always had a special place in all three of their hearts. 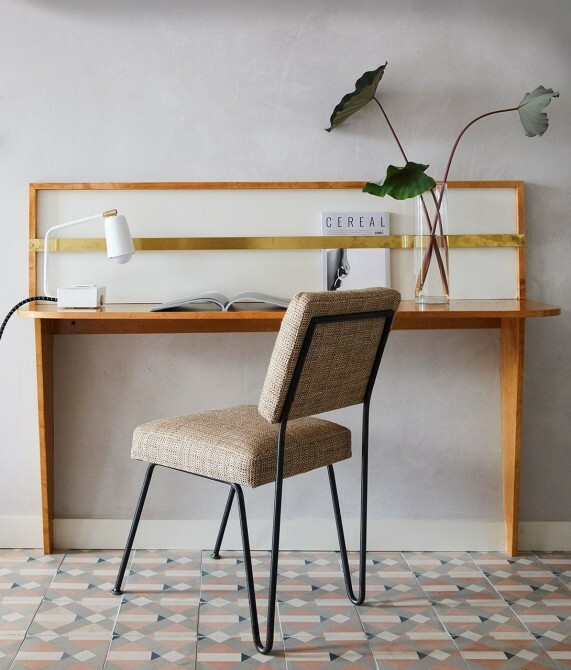 Drawing from their experiences in tech start-ups, real estate, finance, law, hospitality, and a number of other fast-paced industries, the trio joined forces—with a little help from the Nicole Cota Studio and branding guru Steven Klein. 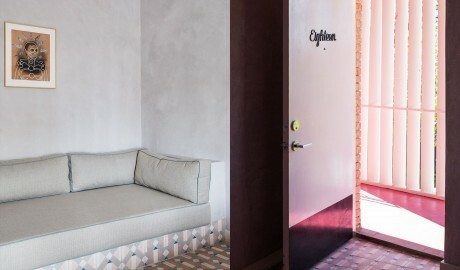 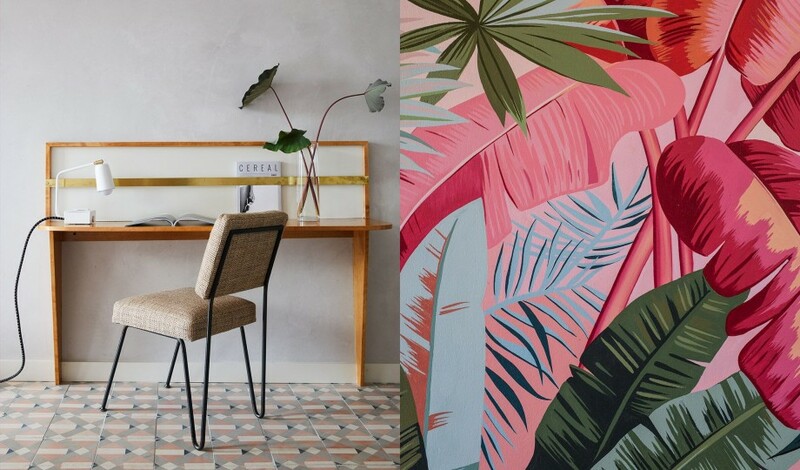 Inspired by the footloose lifestyle of the Beat Generation's post-war artists and writers, they envisioned a roadside hotspot for the new digital nomads of today, transforming an old abandoned motel into The Drifter. Amid the action of New Orleans’ Mid-City neighborhood, The Drifter is truly saturated in the area’s newly defined spirit.